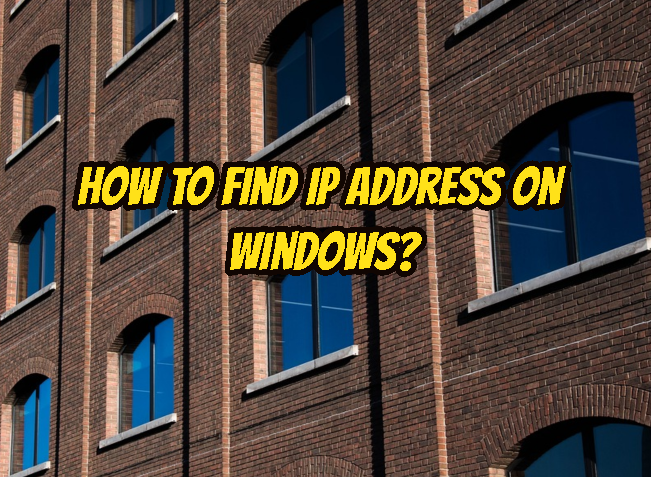 How To Find IP Address On Windows? 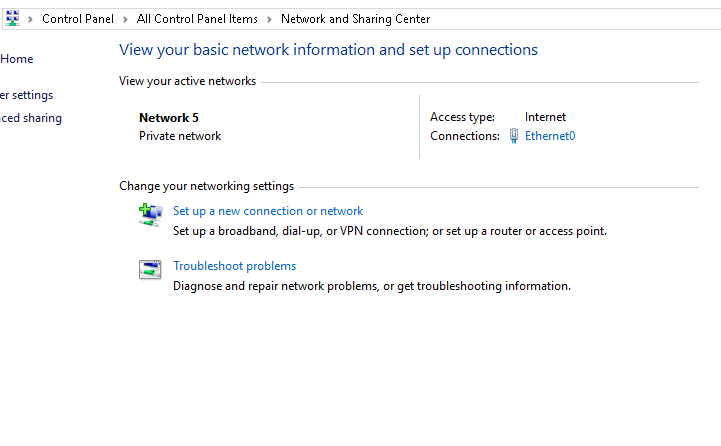 Windows IP address configuration can be gathered with different ways. In this tutorial we will learn command line tool ipconfig and GUI to learn IP address of the operating system. 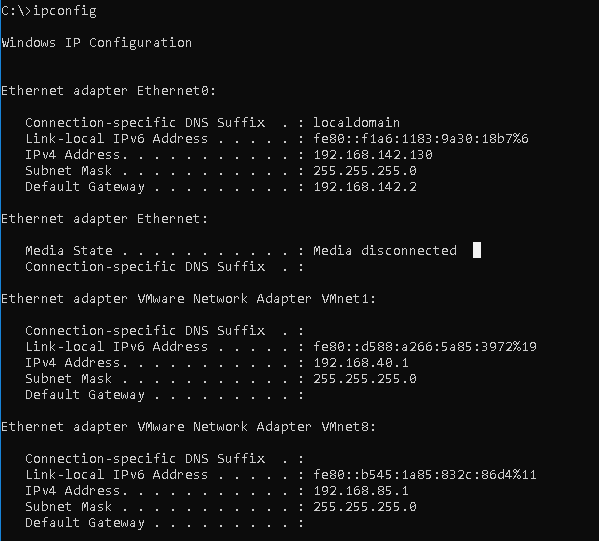 ipconfig is a tool which provides detailed information about the system network configuration. This will list information like Physical Address , IPv4 Address , IPv6 Address , DNS Servers . 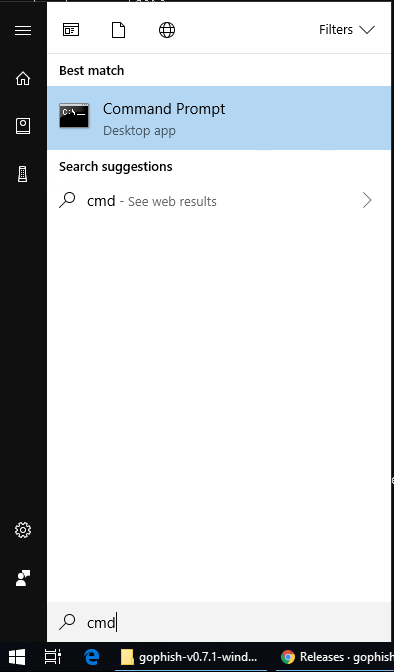 We can open command prompt in different ways but writing cmd to the Start Menu is the simplest way. Than issue ipconfig command like below. From GUI we can get IP address information from Control Panel->Network and Sharing Center . 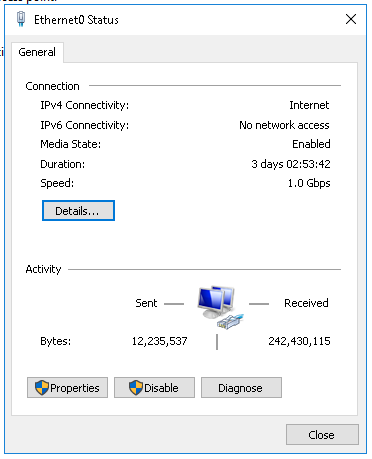 Then we will open Ethernet0 in this example which is the interface we are accessing to the internet. This screen provides us different information like Sent and Received packets etc. We will click to the Details button which will open following window. 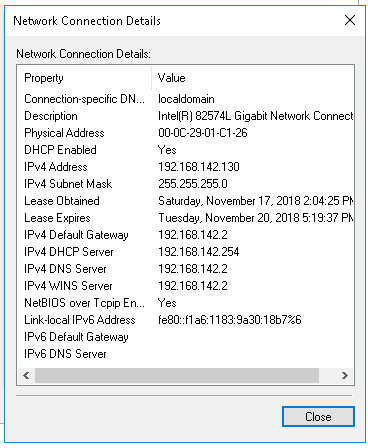 This windows provides ipconfig like information. We can find detailed information like IPv4 Address or IPv6 Address etc. LEARN MORE What Is NAT (Network Address Translation) and How It Works?